Mothercare rebuffed a $453 mln approach from U.S. suitor Destination Maternity. There are understandable concerns about financing and strategy. But the ailing UK firm must show how it can develop healthily alone. Otherwise investors will throw their toys out of the pram. 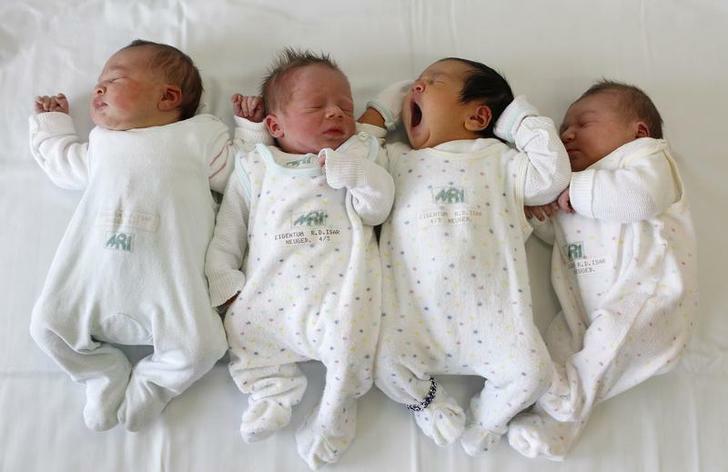 Babies are pictured in a maternity ward at the Munich hospital 'Rechts der Isar' January 18, 2011. Britain’s Mothercare has rejected two takeover proposals in the last week from Destination Maternity of the United States, the two companies said in separate statements on July 2. The second proposal, split roughly three-quarters in cash and a quarter in shares, was worth 300 pence a share, valuing Mothercare’s equity at 266 million pounds ($453 million). Mothercare stock jumped 11.7 percent by late morning on July 2 to 259.75 pence. Shares in the British baby-goods retailer have fallen 48 percent in the previous 12 months. In February Chief Executive Simon Calver quit after weak Christmas trading prompted a profit warning.